Someone asked me the other day why I still take on occasional Cruise Ship engagements. It can’t be the money, they guessed, you would get more for one Corporate Entertainment than you do for a week on a ship! Well they were absolutely correct. At most of my Corporate Entertainment assignments like Conference Kick Offs, After Dinner shows etc, I’ll earn more than if I’m on a ship for a week. But they do allow me to travel to places I would have to spend vast amounts of money to get to by myself and I love to do just that. I had wanted to go to Pentecost Island ever since I read about it in an old National Geographic magazine as a boy and I got to do it this month. As part of a manhood ritual the locals construct a large forest tower from which the leap off. The only thing securing them are long vines attached to their legs. Yep, the original bungee jumpers. 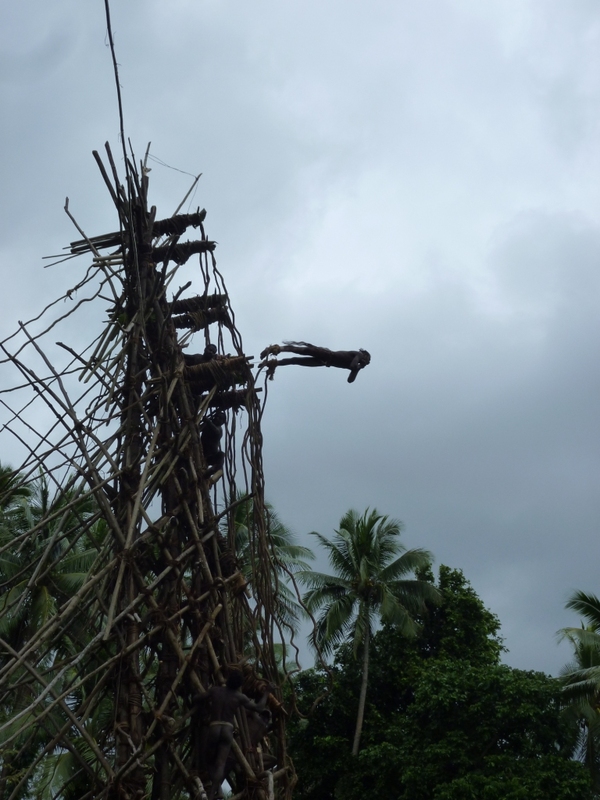 Sure, the ritual has been tweaked a bit for the cruise ships who visit the island, part of the Vanuatu group, but sitting there watching the young men leap off the tower was amazing and a great example of why I occasionaly work on the ships.